This revered mutant tree was felled in an act of ecoterrorism leaving a legacy of myth and possibly murder. 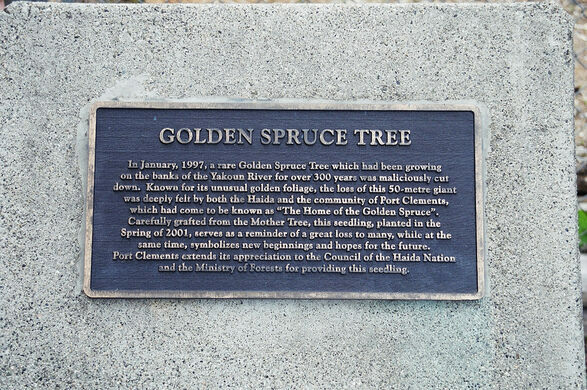 The legend of the Golden Spruce has deep roots. A modern version of the stone cairns built by the Inuit. Between the northern coast of British Columbia and the southern coast of Alaska lies the Yakoun River in the Haida Gwaii, or Queen Charlotte Islands. Along the river’s banks stands a shrinking old-growth forest which was once home to a magnificent Sitka spruce tree which the Haida Indians named Kiidk’yaas, meaning “Ancient Tree.” A rare genetic mutation caused this tree to produce beautiful golden needles which in sunshine appeared to glow with inner light. For hundreds of years the legend of its creation was a sacred part of the Haida’s oral history. Just a few days later, the great tree fell, and the people of the region were overcome with grief and guilt at not having better protected it. Locals gathered and memorial services were held. It was as if a beloved elder had been murdered. Shortly thereafter, Hadwin was arrested by the Mounties, charged, ordered to appear in court, and released on bail. He could have taken a ferry from his island to the courthouse, but being a lifelong extreme outdoorsman, he declared he would kayak 60 miles, in winter, across the treacherous Hecate Strait. He was purportedly last seen paddling his kayak North toward Alaska. He never appeared in court. In June 1997, the wreckage of his kayak was discovered. No one is certain if he met with foul play, a revenge killing for the slaughter of the tree, or if Mother Nature herself exacted vengeance. Perhaps he faked his own death and is living in the Canadian wilds, but no trace of Hadwin has ever been found. Prior to its death, cuttings of the Golden Spruce were grafted onto average Sitka spruce trees and produced saplings, but one sent to the Haida people to replace Kiidk’yaas perished before it could be planted. The only timber that was collected from its remains was used to create a guitar dedicated to Canadian history. 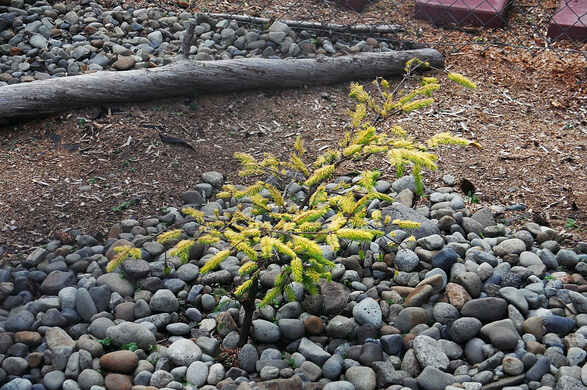 Some saplings do live, however, including one planted in 2001 in Port Clements as a symbol of a new start. Hauntingly beautiful totem poles left by the Haida. The stunning remnants of this wreck emerge from an otherworldly backdrop of rainforests.